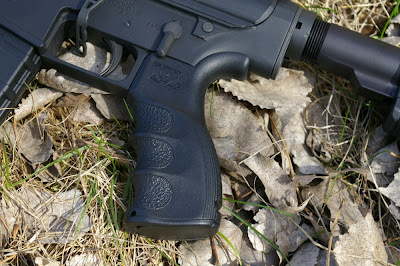 Stock AR grips leave a lot to gripe about and for me are quite uncomfortable in all but a gloved hand. Major improvements can be had in comfort, grip and accuracy with a simple grip swap. There are now a ton of grip options out there and the perfect grip is out there for everyone. In my case after using a Hogue AR grip for a while on my AR's, I decided to try out a Mako AG-43. 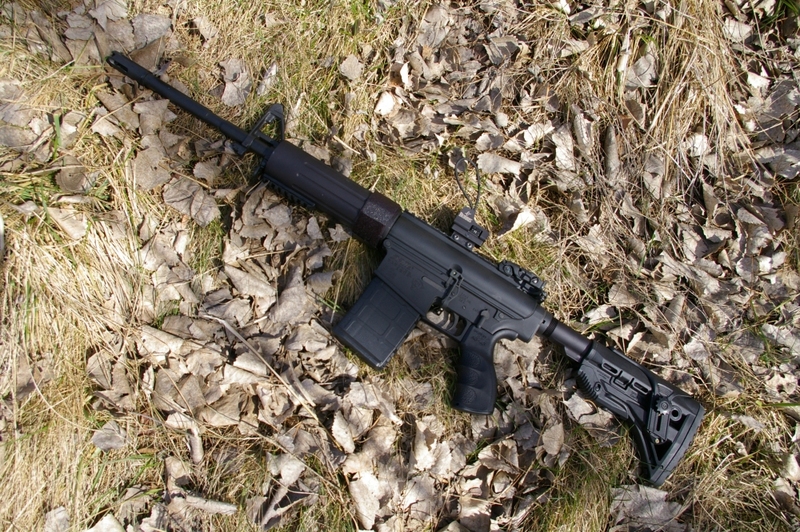 One of the reasons I am trying something different was that the Hogue grip forced my smaller hands lower than it naturally wanted to be on my DPMS 308 AP4. I do not have big mitts and without tac gloves, the Hogue's was not as comfortable with higher recoil .308 as I would have hoped. The Hogue grip will definitely find a home on a lighter recoiling AR. 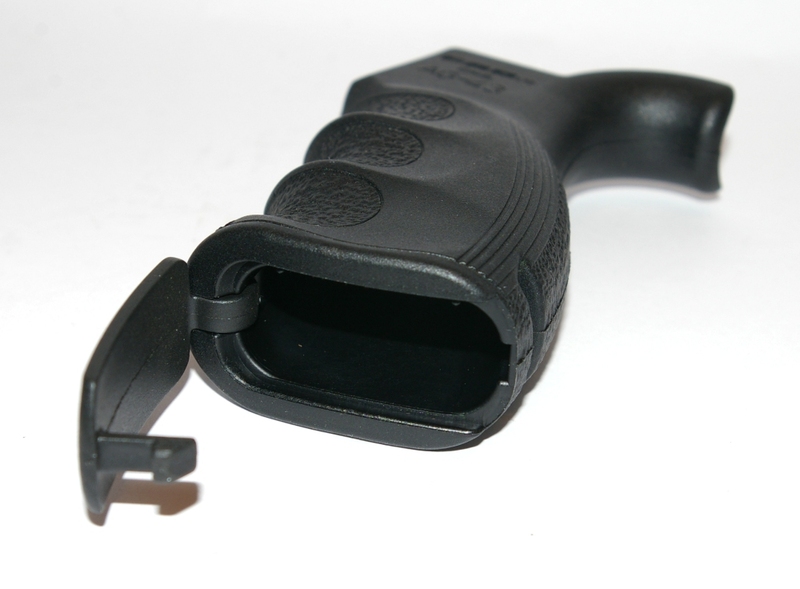 The Makogrip also features a nice little chamfer on the left and right sides of the trigger index finger area. If you shoot a lot you can end up with a blister in this guard meets grip area.. 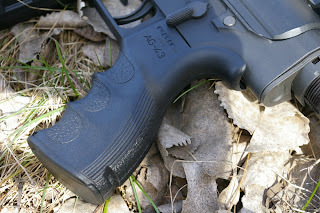 The Hogue grip fell into this blister arena for me and it was a feature I noticed on first grip of the ....er grip. 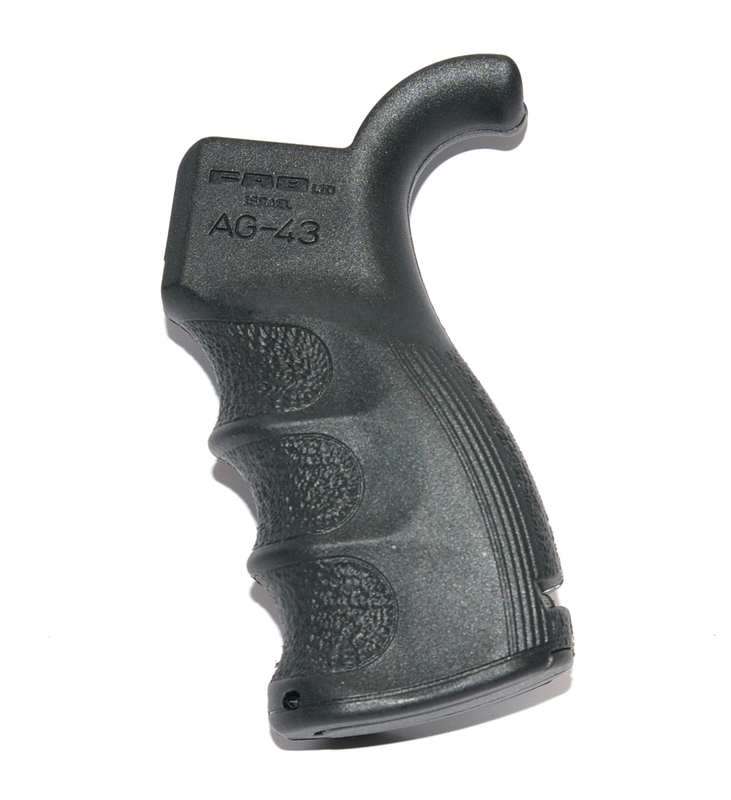 The Mako AG-42 grip is made from a MIL-SPEC reinforced polymer composite which has a non-rubberized but grippy texture. The built in storage compartment easily holds 2-CR2032 (or 2-AA/CR123A) batteries, hex and Allen wrenches and still has room to spare. The compartment is not watertight however if you vacuum pack the batteries that is not an issue. The grip is made to take a beating and comes with a lifetime replacement guarantee like most of its other products and it comes in black, green, and dark earth. One thing that bugged me initially was a gap as shown in the picture to the right just above the grip beavertail only when mounted on my DPMS 308 receiver. This gap is not present on AR15 sized receivers. An annoyance from a aesthetic perspective only when mounted to larger 308 receivers, but did not cause any functional or ergonomic issues. The other little issue which could be a plus or minus depending on personal preferences. The storage compartment latch is tough to unlatch. On one side the latch will not pop open, on the other the latch has to be opened with a bullet or screwdriver. After running drills and some short term testing at the range the Mako AG-43 grip's high backstrap seems much more comfortable for my stumpy hands both with and without gloves. My hand does sits higher and more comfortably. 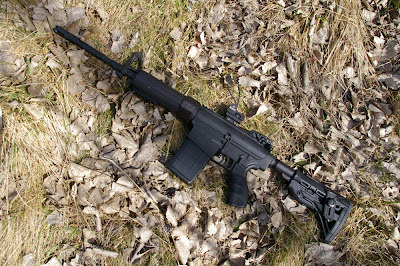 The result is a bit better control and less recoil fatigue, especially in the big calibers.